We have often heard that running is the best form of exercise. It has a number of benefits such as improving bone density, aiding weight loss, strengthening the legs, boosting immunity and relieving stress. Runners are found to be happy people. But modern lifestyles leave us no time to go out for a run. Moreover, the lack of adequate running spaces such as parks put people off. This is why investing in a treadmill is the best investment one can make to improve health. And since it is an investment involving financial costs, one must be careful to choose the best. Read on to find out the factors to take into account and tips to buy treadmill in India. Needless to say, you must purchase a treadmill as per the space available on your premises. Since most treadmills are not easy to move, it is essential to consider where the machine will be placed in before purchasing it. Runners should also keep in mind that they need to leave space all around their treadmill so that there is less chance of injury in case they fall off of the machine. Keep the treadmill away from the reach of children and pets because they can be injured by the machine. 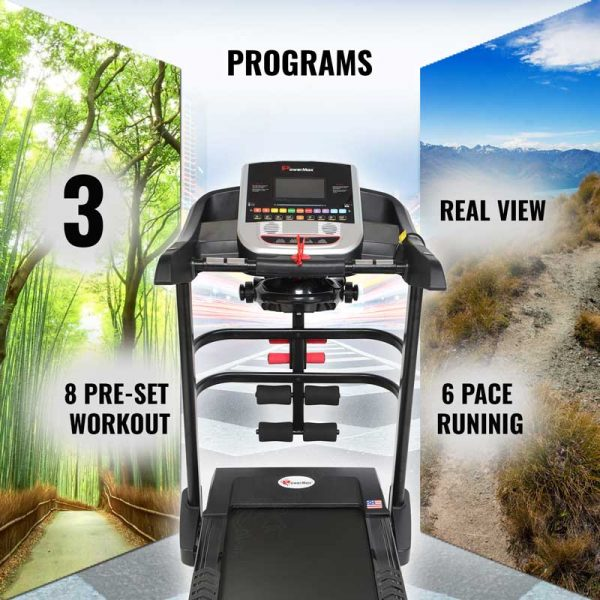 When buying a treadmill for home use, it is expected that it will be used lightly. Home treadmills are generally not meant for vigorous exercise. Take a look at the ‘continuous duty rating’ of the treadmill you wish to buy. A continuous duty rating of 1.5 to 2.5 is good enough for most home treadmills. However, you should look for the model that comes with the best warranty. A motor warranty of at least one year is absolutely necessary. Higher warranty up to three years is preferable. Belt size: For running purposes, the belt must be at least 48 inches long and 18 inches wide. For someone who is over 6 feet tall, at least a 52-inch belt for walking and a 54-inch belt for running is needed. Speed: For running purposes, it is ideal to get a treadmill that goes up to 10 mph or higher. Incline: It is recommended to buy a treadmill with an incline that goes up to 10 per cent or higher. In case the treadmill also has a decline feature, that is also valuable to give a better simulation of outdoor running conditions. Cushioning and Stability: It is necessary that the running bed should absorb shock. Also, the belt should not move around with every foot-strike. Also, the treadmill should not shake when you run or walk on it and the frame must remain steady. Control panel: The panel must be within reach and easy to use. The options should be understandable and visible clearly. Maximum weight rating: This is an important consideration if the consumer is a larger person. It is also a sign of the durability of the treadmill. Take a look at the maximum user weight rating (which is optimistic) and subtract about 50 pounds for a realistic figure. 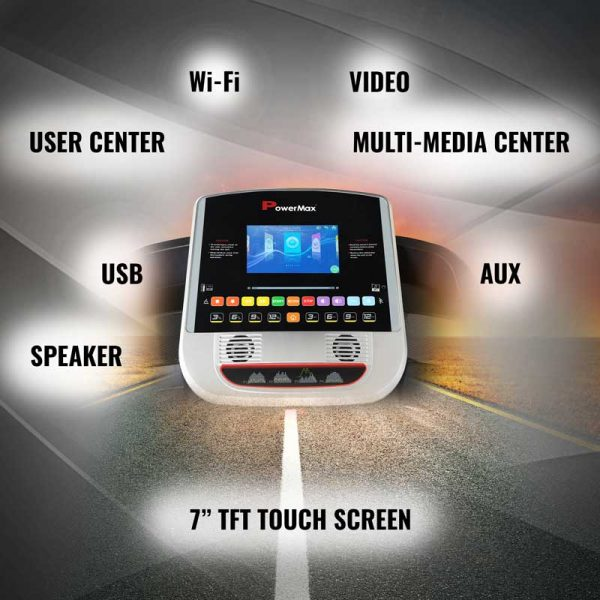 Treadmills can come with pre-programmed routes and other settings and their usefulness depends upon your specific requirements. Running and walking programs, heart rate monitor, incline and decline are some common add-ons. Treadmills are a wonderful investment to accomplish health goals. Considering factors like Space, Duty Ratings, Warranty, Belt Size, and Pre-built Programs is important before making a purchase. Thus, maximising the return from a treadmill is made easy with the above-mentioned tips. Previous post: Why Group Fitness Classes are Fit for you?Next post : How Cardio and Strength Training are Different?